A decadent custard-like dessert that is easier than you'd think to make. This is perfect for impressing your guests. Beat egg yolks, 4 tablespoons sugar and vanilla until thick and creamy. In saucepan, cook cream on low until almost boiling. Slowly pour hot cream into egg mixture while whisking constantly. 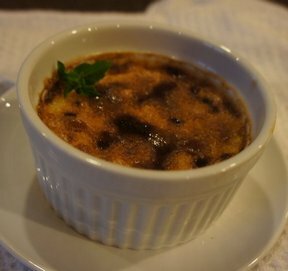 Ladle custard into ramekins, preferably 6-ounce size. 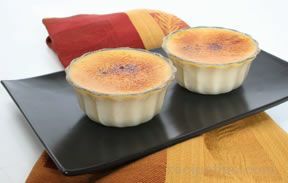 Bake custard cups at 300 in a hot water bath for 30-40 minutes. Custard will still be "wobbly". Combine remaining 2 tablespoons white sugar and brown sugar. 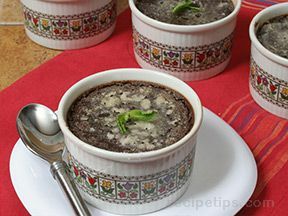 Sprinkle on top of custard and broil for 30 seconds. Watch carefully to keep sugar from burning, or use torch or caramel iron to caramelize the sugar. 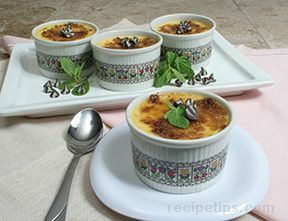 "I do love Creme Brulee and this was no exception. It seemed the custard was even creamier than normal, which I loved. I served it with fresh raspberries."